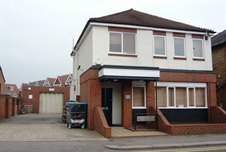 Cattaneo Commercial have just completed the sale of 57 Queens Road, Hersham to an owner occupier. The property comprised a 930 sq ft office building with a 1,950 sq ft warehouse to the rear. If you are looking to dispose of a commercial property in the Walton on Thames area please contact Andrew Armiger on 020 8546 2166 - andy@cattaneo-commercial.co.uk.